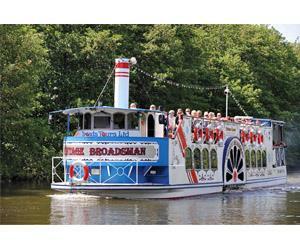 Join Broads Tours and Simbiosis Jazz band on alternate Thursday evenings in July and August. Listen to classic jazz and blues from the Southern States of America as you enjoy watching the sun setting over the beautiful Broads scenery. Licensed bar available. Booking essential, please call 01603 782207.